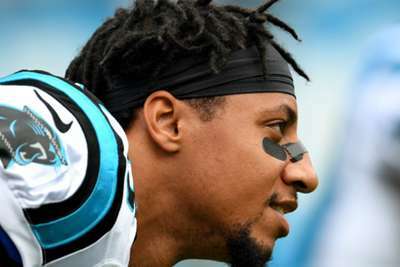 Eric Reid's debut with the Carolina Panthers resulted in a victory for his new team, yet the safety called the win "bittersweet" due to friend Colin Kaepernick's continued absence from the NFL. Reid made his first appearance of the 2018 season on Sunday for a Panthers team that defeated the New York Giants 33-31 to improve to 3-1 in the NFC South. The recently signed safety took a knee during the national anthem prior to kick-off as he continued a protest against perceived racial and social injustice that he and former San Francisco 49ers team-mate Kaepernick first made in 2016. 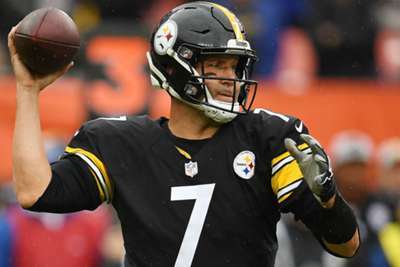 Quarterback Kaepernick has not played an NFL down since the 2016 season and has filed a collusion case against the league's team owners accusing them of blackballing him. Speaking after the Panthers' victory, Reid told reporters: "It's bittersweet. I won the game but Colin's at home with my kids when he should be playing. "But I'm gonna keep doing my part, and we're gonna keep fighting. "Colin is being robbed of his dream. Any athlete in the NFL knows how hard you have to work to get here and his career has been cut short." Kaepernick uploaded a photo of Reid kneeling on his Instagram account on Sunday and the Panthers defensive back wore a 'Know Your Rights' t-shirt after the game. "We have to stay strong, we have to stay diligent to make sure that that narrative doesn't change," Reid added. "We, as a country, have fallen short - 400 years of this, 400 years. Emmett Till, Sandra Bland, Tamir Rice, Alton Sterling - the list goes on. It's unacceptable. "I can't close my eyes and go to sleep at night without feeling like I did something to try to make those things better."